The teacher who taught by example. Les Stone was the last Shire President of Wodonga and first Mayor of the Rural City of Wodonga. Raised in the grinding poverty of Collingwood before the Great Depression Les Stone was a defining public figure in the Albury Wodonga area and publicly proclaimed a pioneer of his time. He was the first of his family to obtain a post-secondary education as a trained primary school teacher. Les Stone passed away prematurely at age 54 years leaving behind an enduring legacy celebrated by the naming of Les Stone Park in Wodonga West. Les Stone’s commitment to public service was exemplary in every way, an assessment shared by the wider Albury Wodonga community over the decades. It is a remarkable testimony that his legacy endures notwithstanding he died in 1974. Les Stone was the last Shire President of Wodonga and first Mayor of the Rural City of Wodonga (as the City was then called). The City was proclaimed on 14 March 1973. Les was elected to the inaugural Mayoral position in the transition from Shire to City and re-elected as Mayor in August 1973. He chose to serve one full term as Mayor having previously served two terms as Shire President. His wife Pam Stone OAM JP was the first lady Mayoress (by reason of her husband) and later the first woman elected to the city council and first woman elected Deputy Mayor and finally Mayor in 1985. “He was an outstanding teacher who always put first the interest of the children in his care”1. On his death the Border Morning Mail Editorial described Les Stone as ‘’A teacher who taught by example’’2. The Editorial summed up the collective values and strengths of a man who gave unstintingly to the community he served. His untimely death would rob Wodonga of a powerful advocate and champion in the corridors of Government. It would also present an opportunity for his widow Pam Stone to defend his legacy and continue the community service the Stones were known for. No finer accolade could define Les Stone in life and in death. Between them Les and Pam played a defining role in the history and development of Wodonga City. In the Centenary of Federation in 2001 Les and Pam were named in the Border Morning Mail ‘’A Toast to 10 of Our Finest?’’ as among the top 10 pioneers over the preceding 100 years in the Albury Wodonga region notwithstanding Les Stone had passed 27 years prior. Both have separate parkland and recreation areas names after them in Wodonga City. The Les Stone Park in Wodonga West is where new citizens swear the oath of allegiance to Australia. They are reminded of a civic leader who welcomed all, worked closely with migrant families and made a virtue of cultural diversity in building a new Australia. The Les Stone Park is a regular venue for community based activities in addition to the Naturalization Ceremonies held on 26 January, Australia Day each year. This was a far cry from when the couple first arrived in Wodonga. Les Stone’s background and where he had come from would not have provided an insight at the time as to what he would achieve and contribute in his lifetime to the Border area. The couple married in April 1949. There was a 10 year age difference between them. Pam and Les met at the Catholic Club in Little Flinders Street Melbourne. Les was a former Christian Brother. He may have left the ‘monks’ but there was still a lot of the ‘monk’ in him. He was throughout life a devout practising Catholic. Les had a limited understanding of financial matters and a very black and white view of the world. Growing up in working class Collingwood Les was a child of the Great Depression where family values, the Catholic Church and Collingwood football club was the sum total of what they knew and believed in. He deplored wealth and material trappings and subscribed to the old saying which he frequently quoted: ‘’it is as hard for a rich man to enter the Kingdom of Heaven as it is for a camel to pass through the eye of a needle”. He was an old fashioned social democrat who had little time for the ALP and the Union movement for their stand over tactics and complicity with the ‘bosses’ he experienced first-hand in his early working life. Les was from the ‘wrong side of the tracks’ on any measure however his working class credentials were impeccable. Aligned with Santamaria’s National Civic Council although never a member of the DLP he believed the ALP harboured communist sympathizers. His view on wealth contrasted sharply with his active pursuit of big business to Wodonga. He often remarked that he was less interested in the wealth creation of big business than he was in creating jobs and putting bread on the table of Wodonga’s working families. Leslie Edwin Stone was born in Collingwood on 24 August 1919, the first of three sons of Mary Ellen aka Nellie Stone nee Currie and William Leslie aka ‘Big Les’ Stone. Nellie’s parents were Scottish Catholics (with a County Cork connection). 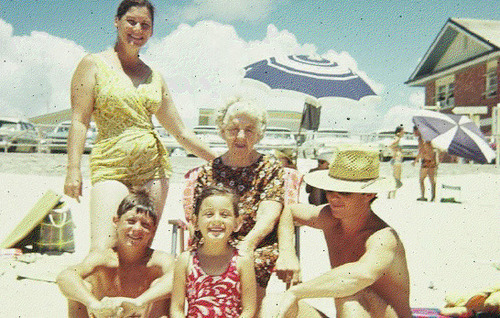 The grandparents of ‘Big Les’ came from Devonshire England (see Our Story). 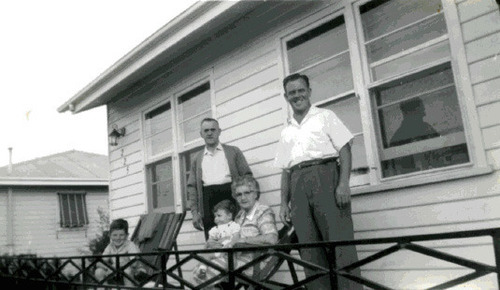 Les had two siblings - Leo John born in 1922 and Ronald James in 1928. A poor working class Catholic family in Collingwood had its work cut out for it in those times. 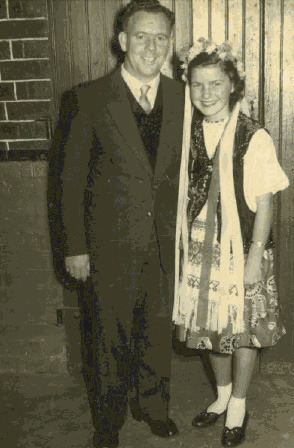 Les completed his elementary school education in 1932 at St. Joseph’s Collingwood at age 13. He left school to find employment in the wool mills in Abbotsford. He recalls it as a depressing and challenging period covered in grime and filth in suffocating work conditions - it left a deep impression about rapacious employers and big business. He was a devout practising Catholic by reason of his mother’s devotion to the Church. 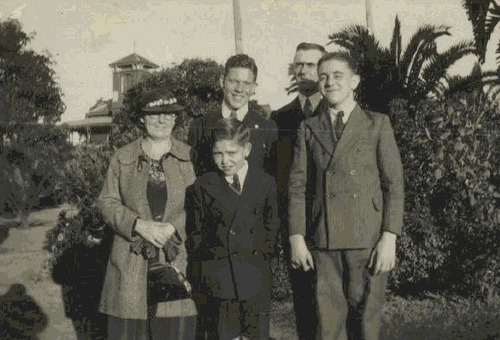 Nellie had ‘turned’ or converted ‘Big Les’ to the Catholic Church as a condition of their marriage and she was equally determined about her sons Les, Leo and Ronnie. In the process she managed to alienate her family from the Stones who represented a mixed bag of adherence from Church of England to non-conformist faiths - Methodist, Baptists, Congregationalist, Presbyterian, Salvation Army and agnostics. The Christian Brothers were very active in Melbourne and eager to recruit young Catholic men from the cycle of unrelenting poverty, factory work and at times religious persecution. Les by his own account was a willing conscript as a means of escaping what he described as the ‘’grinding poverty” of working class Collingwood. This was a place where job advertisements in the Depression made it very clear: ‘’no Catholic or Jew need apply”. By 15 Les was at the Christian Brothers College Strathfield in Sydney where his first task was to complete a secondary education – he had a lot of catching up to do. He completed his First Year Leaving Certificate syllabus in 1937 at age 18, the second year in 1938. He completed Intermediate Certificate in 1939 and the fourth year Leaving Certificate syllabus in 1940. In 1942 he completed his final year of secondary education and in 1943 at 24 he received his Leaving Certificate from the State of New South Wales. His certificate indicates he had progressed to the Juniorate as an unprofessed Brother called by the name Leslie Faber Stone. One of his teachers was Morris West, later a famous Australian author who subsequently left the brothers. Les adopted West’s religious name Faber and as was the custom was called Brother Faber. At age 24 he was well behind his contemporaries and older than most. However his maturity and work experience in the wider world won him friends and admirers at Strathfield. Later having left the Brothers there was constant visits from old colleagues who spoke warmly of a man who provided leadership and understanding for others who struggled with their vocations. 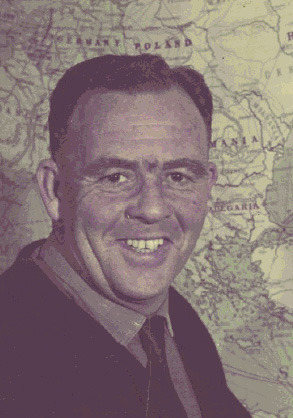 Les taught at various schools run by the Christian Brothers – Strathfield, Goulburn and Wakefield Street Adelaide where he was head of the junior school. He was an accomplished Latin scholar with a proficiency in French. However his talents were not confined to the classics and later in his career he became a significant leader in the teaching of primary school mathematics. In the late 1940’s during his stint as the head of the Junior School at Wakefield Street Adelaide Les’s health started to deteriorate and he had doubts about his vocation. Later he would reflect that not all have a vocation for life - some come to it late while others for a period of time. In that sense he was a man ahead of his time as the Church today scrambles to entice older men and women to the pastoral work of the Church. Later in life he would be an important sounding board for men and women wishing to be released their religious vows. The family lost count of the number of brothers and priests who he successfully persuaded to follow the process to be laicized and released from religious vows and stay within the Church. By late 1945 Les had returned home to Collingwood, his health had collapsed and he was full of doubt and self-recrimination. The Doyle family of Clifton Hill embraced him in his predicament. They also had a son in the brothers and grasped the importance of supporting a young man through a crisis of faith. In the early years those that left religious Orders and Congregations were literally cast out. Slowly that changed and although he didn’t live to see it his eldest son Shane, a year after his death was invited to the Christian Brothers Provincial House in Parkville for dinner by the Provincial, Brother Patrick ‘King’ Naughtin and the legendary Brother ‘Spud’ Murphy where Shane met a number of those who had joined the Brothers with his father making the journey from Spencer Street Station Melbourne to Strathfield. 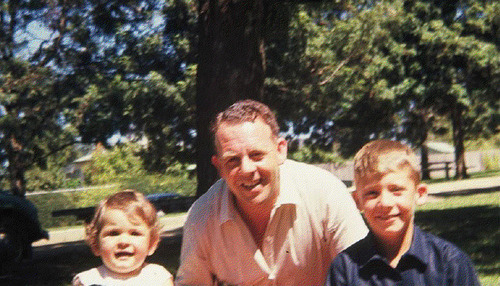 Shane was introduced to the ‘monks’ present as Les Stone’s son. They were very warm and accepting in their embrace, a once unheard of event. In 1947 Les decided the best course was to keep doing what he knew best, teaching. He applied to the Victorian Education Department. Teachers trained in the church school system did not have recognition of their qualifications, so at age 28 Les was confronted with enrolling at Melbourne Teachers College to retrain as a primary school teacher. Les graduated in 1948 top of his year. He taught at various schools including Buckrabanyule and at the time of marriage in 1949 was posted to Tahara SS, a one teacher school where all students from grades 1 to 6 sat in the one class in a single room school house. This was a common feature of remote and rural education Australia wide in those times. Tahara SS was 8 miles east of Merino in the Western District of Victoria. 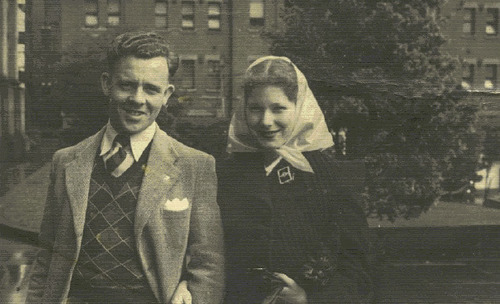 Les met Pamela Mary Devine through the Catholic Club in Flinders Street Melbourne during the course of 1947 and they maintained their friendship. The couple kept company throughout Les’s retraining. In 1948 Les proposed and in April 1949 they married in St. Patrick’s Cathedral Melbourne. It was one thing for a single teacher to board and ‘rough it’ up country, it was another to expect the same of a newly married couple. Commitments by the local school council to build a teachers house fell by the wayside and they initially boarded with the local school council President which turned out to be a poor experience. The couple ended up sharing with a soldier settler called Bob Sparks aka ‘Sparkie’. Pam described Bob as one of the most colourful she has ever met particularly when he would arrive home drunk from a day in Hamilton. They had one old copper bath between them which they shared - Pam first, Les second and Bob last to preserve scarce water. Their new shared residence had a rammed earthen floor, a Coolgardie safe, (a non-electric fridge developed on the Eastern Goldfields of Western Australia in about 1815 that worked on the principle of evaporation) and scant furnishings. The new couple supplemented Les’s meagre wage with hunting rabbits. They bought a couple of ferrets and a whippet dog and spent the weekends roaming the countryside in pursuit of Australia’s national pest the rabbit. Their only social outings were with the local farmers and depending on whether they were farmers or graziers (described by Les as the ‘squattocracy’ of the Western District) they were left in no doubt as to their station in life. In November 1949 Tahara was closed and consolidated with Merino SS. Les and his students travelled daily by bus to Merino Consolidated School for the remainder of the year. With the closure of Tahara in November 1949 and move to Merino circumstances changed again. Les was appointed to Derby, a one teacher school located on the Calder Highway part way between Bridgewater on Loddon and Marong not far from Bendigo in early 1950. This time there was a school residence. Shane Leslie Stone was the first born Stone on 25 September 1950 at Bendigo Base Hospital in country Victoria. Les was still at Derby as the teacher in charge but that was about to change. In late 1950 Les was advised he was to be transferred to Cornishtown SS near Chiltern in North East Victoria. In early 1951 the family moved to Cornishtown and so began a long and enduring relationship with the people of the area. It was during this period Bill and Julie Curtain became lifelong family friends. Julie and Bill owned a property nearby called ‘Home Bush’ off Curtin’s Lane (named for the Curtains but mis-spelt by the Shire) that abutted the Chiltern Forest teeming with native wildlife. Julie had previously been a relief teacher at the Cornishtown School and would ultimately follow Les into Cornishtown as the last teacher in charge before closure in 1957. Julie and Bill would later become the godparents of Terry Stone the next born. Shane was particularly close to the couple and spent every opportunity at their farm. Many friends were made in Cornishtown which have survived to this day – the families Gilman, Fuge, Melville, Begley, Owen and Drage among them. Les was appointed to a teaching position at Ariel Street Primary School (now Brockley Street) in 1955. Shane commenced his Primary education at this school. 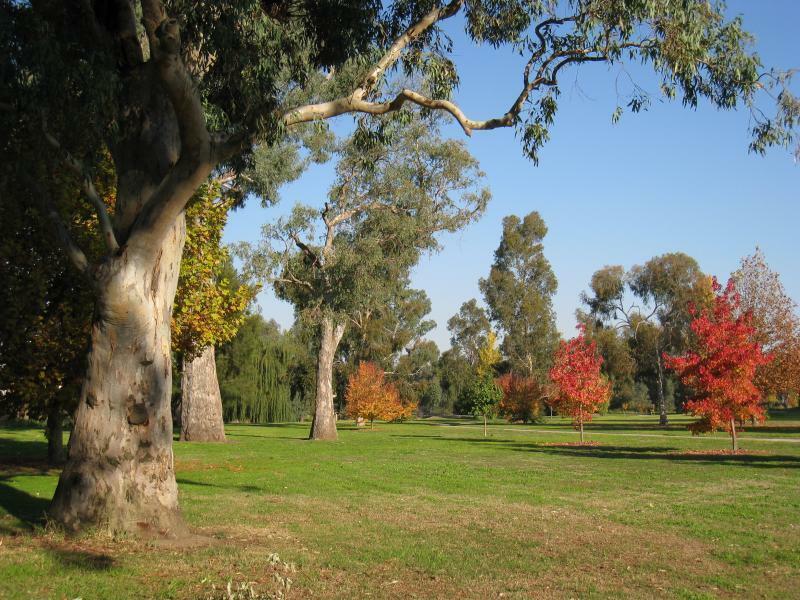 Wodonga straddles the Victorian New South Wales State borders. The couple was allocated a house, a rental property in the new Housing Commission estate on Lawrence Street heading west out of town. The family also took a step that no Stone had ever done before, they financed the purchase of their house in 1956 – after a great deal of hand wringing and ‘what if’ Les and Pam put down a deposit on their Victorian Housing Commission house. There is little doubt that Pam was the driving force behind this decision - Les subscribed to the view that you didn’t buy something until you had saved for it. They were among the first in the neighbourhood to take up the offer from the Bolte Liberal Government which was actively encouraging home ownership; 225 Lawrence Street Wodonga became the Stone family home. Les remained at Ariel Street for the next 5 years. School Principal the legendary Bob Buchan was a great advocate for Les and foresaw his potential as a teacher, principal and community leader. Meanwhile Les and Pam nurtured a family – Terry Michael Stone was born 2 June 1957. Theirs was a caring and loving family. One that went to Mass every Sunday, where neither parent were ever intoxicated or a swear word uttered notwithstanding Les towards the end of his life had an impressive cellar - they were not ‘wowsers’. Poor and impecunious in every sense there was plenty of affection love and respect. Pam was a stay at home mum, a great cook, homemaker and the ‘rock’ upon which Les relied. By all accounts and first-hand experience he could be a difficult and an intransigent man, a person of firm and unwavering opinion. He was also a person of deep faith, compassion and empathy for the poor and outcast - a deeply committed husband and parent. In 1962 tragedy struck with the still born birth of Pamela Mary and the realization that Pam’s blood type and her negative RH factor as opposed to Les’s positive RH factor would impede further children. There was no medical solution back then and surprise that Terry had survived. Les was devastated at the loss of his daughter. In the intervening period Les accepted promotion to Pakenham Consolidated School in East Gippsland commencing 1963. 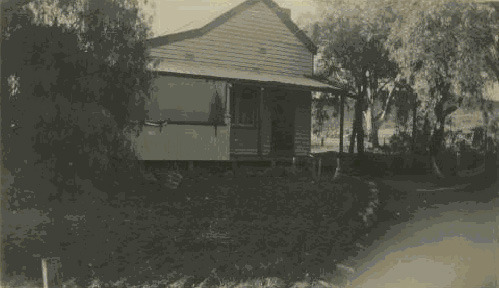 The family moved into a school residence in Main Street Pakenham across the road from the school. Shane commenced his secondary education at St. John’s de la Salle College in Dandenong which required a 34 mile round trip each day by train. Terry attended St. Patrick’s Primary School in Pakenham. Tragedy struck again in 1964 with the still born death of Michelle. Les came to the realization that there would be no more children of his own unless he adopted. This was a challenge as he was 46 years old and already had two children and others were deserving of priority. 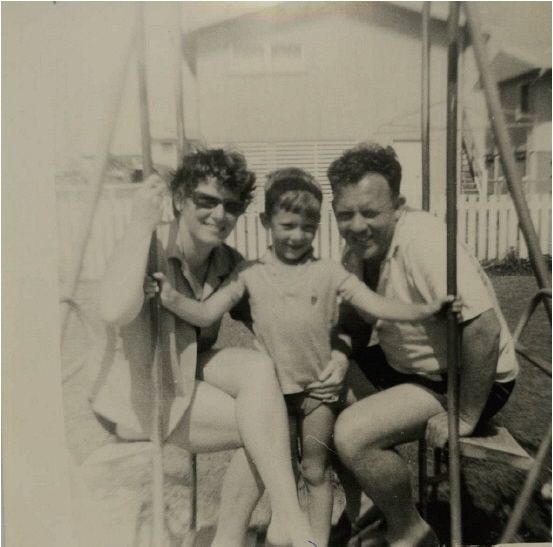 That year Les’s dream of a daughter was realized when an old friend Dr. Bill Grant from Wodonga contacted Les with an offer he couldn’t refuse – a daughter born outside a marriage and a consenting mother married with other children. Susan Ellen Stone was born 9 January 1965 and was warmly and enthusiastically welcomed into the Stone family. It was during Les’s tenure at Pakenham Consolidated School that Les was selected to participate in the introduction of a new mathematics curriculum in Victorian State Schools. He worked collaboratively with curriculum specialists in the State Curriculum Centre Carlton including Dr. Beth Blackall. Les was selected to run a pilot program at his school and to assist other teachers by running ‘in service’ courses. Les considered this one of the most professionally satisfying periods in his teaching career. In 1967 the family returned to Wodonga when Les was further promoted first to Bandiana State School as Principal and later to Deputy Principal at Wodonga West Primary School. The latter school was in close proximity to the family home in Lawrence Street. 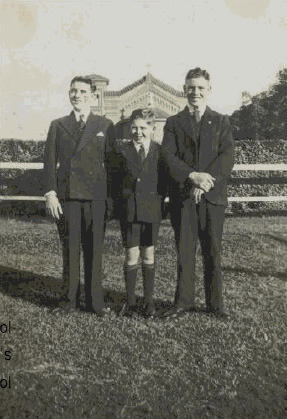 The family’s financial circumstances were still very modest and it was decided that Shane would attend Wodonga High School rather than travel back over the NSW Victorian border to Aquinas College Albury, the senior school to St. Patrick’s where he had commenced his primary education. Interstate secondary education back in those times was complicated when it came to University entrance. Also a state secondary education was affordable, a private education not so when there were two more children yet to be educated. To put the Stone family financial position into perspective when Les died prematurely in 1974 aged 54 years he had still not managed to pay off his housing commission home loan, fortunately a death benefit did that. Careful with their money Les and Pam were ‘battlers’. Terry was enrolled at St. Patrick’s Primary School in Albury which was short lived and that same year moved to Wodonga West Primary and later attended Wodonga High School to complete his secondary education. Les was later promoted Principal of Wodonga West Primary, the latter celebrated the 50th Anniversary of the schools founding in 2009. A special feature was made of Les’s association with the school during those celebrations with Pam planting a commemorative tree and Shane as keynote speaker on the day of celebrations. The Victorian Education Department was a different organization in times past than it is today. There was no such concept as accelerated promotion or lateral recruitment – teachers did their time as they slowly made their way up the ladder to Principal and then retire. Les was once quoted as describing the Department: “as a large cesspit into which logs were thrown and as they rotted they floated to the top”. Such comments did not always endear him to the Department. Teachers were assessed for promotion by the District Inspector of Schools who terrorized teachers with their unannounced arrival at schools. Teachers received ‘a mark’ as a precursor to transfer and promotion. Les was proud to be able to point to successive ‘A’ grades which he kept in a scrap book. It makes for interesting reading and gives an insight into school administration and teacher assessment from an era long gone. Following his return to Wodonga from Pakenham Les re-established his strong network in the local migrant community. Bonegilla Migrant Reception and Training Centre (originally set up as a transit camp for WWII refugees) known locally as Bonegilla Camp was a new home to many ‘new Australians’. Les had a long history of helping new migrants with language and settling them into their new environs. Whilst at Cornishtown he had travelled regularly to the All Saint’s Vineyard at Wahgunyah at the invitation of the Sutherland-Smith Family to tutor the Italian vineyard workers. It was at All Saints that the Stone family forged a long enduring relationship with the Franscicine family. The Stone family were imbued with a very mixed European culture (German, Italian and Sicilian, Croatian, Dutch, Ukrainian, Polish, Dutch, Belgian and Serbian to name the predominate groupings). Home-made wine, sausages and salami made in some neighbours backyard were the norm. The names Carlomagno, Wok, Regner, Lazurko, Schmidt, Colomberra, Franscicine, Mueller, Van Bynder, Rutkowski and Cheridichinko were as common as Smith and Jones. Les often adjudicated disputes in migrant families suspicious of the Australian court system as many had come from countries where the judicial system had been completely compromised and corrupted. Les was sufficiently proficient in a number of languages including Italian; he was in his own way the local ‘counselari’ and his decisions and adjudication carried weight and prestige. The same people turned to him for help in framing tenders and correspondence - illiterate in their own language let alone English they were entirely dependent on Les’s help and guidance. This early experience with migrants and refugees was later to impact positively on Shane in his political roles. Les stepped up his local community involvement and as a senior primary school teacher was vocal in his views on teachers striking. He was a strong member of the VTU (Victorian Teachers Union) and found himself at odds with activists within the VSTA (Victorian Secondary Teachers Union) and the VTTA (Victorian Technical Teachers Association). This period of the 1960’s witnessed the radicalisation of the teaching profession with the VTU maintaining a ‘no strike’ position whilst the VSTA and VTTA took a contrary view. Les was at the forefront in Wodonga arguing the case that teaching was a profession and that teachers should not strike. Time again as the secondary and technical teachers went out the primary teachers held firm to the ‘no strike’ position while at the same time making their own case to Government. At home the Stone family remained close knit. Back in Wodonga between 1967 and 1969 the family went on long Sunday drives to places far afield as Mt. Beauty, Bright, Corowa, Wahgunyah, Yackandandah, Lake Hume, Myrtleford, Beechworth, Wangaratta and the Kiewa and Dartmouth Rivers. There were camping and fishing trips every school holiday. Christmas holidays were spent driving as far afield as Merimbula on the NSW south coast and further afield as Les and Pam became more confident. Next came Coffs Harbour, Burleigh Heads, Currumbin, Coolangatta, Palm Beach, Mooloolaba, Maroochydore, Mudjimba and Cotton Tree were added to successive itineraries. Every Christmas holidays the family became a little more adventurous and confident about selecting a new destination. The highways were dotted with families camping out as they made their pilgrimages to New South Wales and Queensland beaches for annual Christmas holidays. For years in second hand cars of dubious reliability Les towed a trailer pitching a tent nightly along the way. 5 days there and 5 days back playing interminable games of ‘I see’ and sing-alongs, the most memorable in a Volkswagen Beetle without a radio or air conditioning. Les had the uncanny ability to pitch the tent at night over a bull ant nest on the long journey. This period is recalled by family members as among the most special and memorable in their lives. Little did they know that contrary to family folklore the Stone Family had first arrived in Australia from Plymouth Devon at Morton Bay (Brisbane) in 1866 - Collingwood was the second stop four years later unknown to Les and his family. Had Les known of the Queensland connection he would have been pleased as he predicted his retirement in the Sunshine State. Life was otherwise very predictable in the Stone home. Fish and chips Friday nights, Saturday afternoon matinee at the Wodonga Theatre (and sixpence for bag of lollies), Sunday Mass, Sunday roast, sitting as a family listening to the radio – Dad and Dave, Blue Hills, space shows and the Lone Ranger, walks up and down the main street of Wodonga and watching black and white TV in the Mates Store window in Dean Street Albury. A special treat was a night out at the Wodonga Drive-in-Theatre with fish and chips. The Stone family were among the last to get television in their street and when they did for years persevered with black and white. Many of the Stone neighbours were long term Housing Commission tenants; the Matheson, Woods, Warnse, Bruce, Pattison, Cruikshank, Oliver, Bishop, Shannon and Harrison families among them. Alex Harrison was a former Marist brother and teaching colleague of Les. He was a pallbearer at Les’s funeral. Pat Matheson was also a teaching colleague at Ariel Street. Many were battlers struggling to pay off their first home as former housing commission tenants. One image that stayed with Les was the eviction of the Williams family in Watson Street, their furniture thrown out on the street by the bailiff and Mrs. Williams and her children walking dejectedly down the street with what they could carry. Mr. Williams had already done ‘a runner’. This was poverty and disadvantage on very public display and a raw reminder of where Les had come from. This public housing estate where families of very modest means either rented from the State Government or were able to purchase long term was home to many working class families who became the electoral power base of both Les and Pam Stone. Les’s appointments at Wodonga West primary school reinforced the connections with the estate culminating in his appointment as Principal. In the meantime Les had shown an interest in local government and was elected as a Councillor for the West Ridding in 1967. The following year he was elected Deputy Shire President. Les also became a member of the Victorian Country Party (forerunner to the National Party). Although steeped in the traditions of the Labor movement through his family he had trouble reconciling the ALP’s then accommodation of communist sympathizers in their ranks – the very issue that led to the great split in the 1950’s. Notwithstanding Les recounted to Shane that he had voted against the Menzies Government referendum to ban the Communist Party as undemocratic he opposed the attempts of Labor Prime Minister Ben Chifley to nationalize the banks for the same reason. He had voted for the election and re-election of the Menzies Government on every occasion and otherwise supported the DLP Senate ticket. He was an active supporter of the ‘The Movement’- the National Civic Council led by Bob Santamaria. The Country Party ever on the lookout for good candidates had Les Stone in their sights from the time he was elected to Council. Les had forged close links with a number of Liberal Ministers in the Hamer Government including Murray Byrne, Alan Hunt and future Premier Lindsay Thompson but he had also enjoyed a close relationship with Country Party MLC Keith Bradbury. Closer to home there was a degree of antipathy towards Les from the local Liberals who had struggled under the dominance of the Country Party in North East Victoria. A number in the Liberal Party organization in Wodonga were not fussed about the local school teacher living on the Housing Commission estate from Collingwood. The Shire Presidency had in more recent times been the domain of the rural elite and Les had broken the dominance. Les had never been a member of any political party until he joined the Victorian Country Party. He felt shunned by the Liberal Party who in rural Victorian was in the main very self-aware of their social standing and elite schooling. There was also the deep seated distrust of Catholics despite the rise to prominence of Murray Byrne and Phil Lynch in the Liberal Party. Notwithstanding the active involvement of the Masons in the Country Party a number reached out to Les. 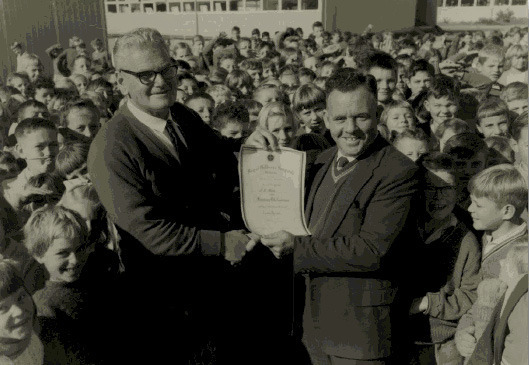 His performance in rural communities as the local teacher including at Cornishtown had not gone unnoticed. He was seen as a man sympathetic to country people, to farmers and their families. Keith Bradbury the Upper House member for North Eastern Province became Les’s champion. Keith’s deep distrust and hatred for the Liberal Party far surpassed any feelings he might have about Catholics. With the support of Country Party Parliamentary Leader George Moss MP and the Upper House leader the Honourable Ivan Swinburne MLC Leader of the Country Party in the Legislative Council, Les was persuaded to consider a parliamentary career. He unsuccessfully sought Country Party pre-selection for the State electorate of Murray Valley (being vacated by the outgoing leader George Moss). In a subsequent redistribution Murray Valley’s boundaries were changed and Wodonga was redistributed and fell into the seat of Benambra held by the Liberal Party the legendary Tom Mitchell. In support of Les’s candidature the largest Country Party branch in Australia had been formed and membership exceeded 600. This development did little to endear Les to the local Liberals. In a surprise upset Les was beaten by a young Bill Baxter from Picola who went onto win the seat, loose it after one term (Bill to his credit left Murray Valley to fight for Benambra) and re-emerged as a member of the upper house Legislative Council when he defeated Shane for pre-selection in 1977 (Bill later served as a Minister in the Kennett Government, State President of the National Party in Victoria and Federal Vice President). Les remained loyal to the Country Party in defeat however many of his supporters didn’t with the Liberal Party being the main unintended beneficiary of disillusionment. Over the next 10 years the Liberals would displace the Country Party in North East Victoria. The failure of Les Stone to win pre-selection notwithstanding the solid support of Party elders left many deeply upset and disaffected. In any event Les had been elected the last President of the Shire of Wodonga in 1971 and then inaugural Mayor of the new Rural City of Wodonga in March 1973 and was re-elected in August that year. Notwithstanding his disappointment and humiliation on being denied pre-selection the first Mayor of Wodonga moved on and put any ideas of a parliamentary career behind him. 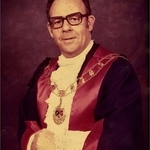 He had been encouraged by a number of civic leaders including John Schubert, Jack Street, Bernie Cox and Cyril Collins. Collectively they represented a wide spectrum of the political and social prism. Les was particularly close to Cyril Collins a fellow Catholic. As the Shire President and later Mayor he faced the usual conflicts between elected members and professional staff. He had a feisty relationship with Bill Page the legendary City Engineer and was particularly close to Andrew Rutkowski the Town Clerk who would later be a pallbearer at his funeral. He thought well of Ken Riley who would follow him as Mayor and for a time was close to John Macauley and Rex Chamberlain. He held John Schubert, Bernie Cox and Jack Street in high regard. Les credited John Schubert with coming up with the concept of the Rural City, a nomenclature since abandoned by the City of Wodonga. Les was the local councillor you contacted to fix a drain, a pothole or simply to tell your story. He was readily accessible and spent hours of his days walking High Street talking to constituents generally and shopkeepers in particular. As reported in the Border Morning Mail 28 December 1973 following his death: “Councillor Stone was a devout Catholic who carried Christianity into his everyday life in all his dealings with his fellow man, and he was never too busy to listen to other peoples troubles”. He was attuned to local issues like few others particularly those councillors who represented the rural Ridings and were not able to come to town so regularly. He was not a businessman, real estate agent or developer - he was considered above the fray in Council and he most likely to determine matters and issues on their merits and what was in the best interests of Wodonga. Les campaigned for the removal of the level crossing in High Street as did many before and after him. It took over 50 years but ultimately it was achieved under the Howard Government and there was a nice coincidence about the decision to finally act with the active encouragement of Shane Stone then Federal President of the Liberal Party. He was unrelenting in his campaign for more housing developments in Wodonga. His early membership of the Interim Consultative Committee and later Consultative Council for the Development of Albury Wodonga was driven by his commitment to growth, housing and jobs. To the surprise of many of his conservative colleagues he assisted Dr. Ken Coghill in his election to Council, the first card carrying member of the ALP. Ken would later be elected the State member for Werribee and Speaker in the Victorian Parliament of the Cain Government. Apart from liking Ken he believed that the Council needed to better reflect the political diversity of the evolving Wodonga community. That said he was opposed to political parties formally endorsing candidates for local government and said so very publicly. Ken Coghill contested and won without ALP endorsement a seat on council. For Les the Declaration of the City was a personal triumph as the Shire had been refused City status in the 1960’s. Building on a strong personal relationship with then Minister for Local Government the Honourable Alan Hunt MLC he persuaded the Hamer Government of the merits. He enjoyed the strong support of the then Minster for Education and later Premier the Honourable Lindsay Thompson MP. His closest relationship was with the Honourable Murray Byrne MLC Leader of Government in the Legislative Council and the Honourable Alan Hunt MLC. Despite these close personal relationships with Liberal Ministers he remained wary of the Liberal Party particularly at the local level. In many ways he still held firmly to his working class roots. For example as a teacher he had joined the Sergeants Mess at Bandiana - when he became Shire President he was invited to join the Officers Mess. Les’s polite refusal caused angst in the Defence establishment. Notwithstanding he was considered a champion of Defence in the community and took every opportunity to build bridges between the wider community and the Bandiana Base. It was during this time that he forged a close friendship with Colonel Bob McLean MBE the Base Area Commander for Bandiana. They remained close friends and Bob was very much Les’s confidant on all matters Defence. He pro-actively encouraged Defence to take up housing in Wodonga, to be part of the community. At the time of his death he was still a member of the Sergeants Mess. At about this time the Whitlam Government had designated Albury Wodonga as a nominated ‘growth centre’ under the decentralization policy being implemented by Federal Minister the Honourable Tom Uren MP. This was a period of great turmoil, nationally and locally. The success of the ‘growth centres’ turned on the compulsory acquisition of farm land for the purpose of urban subdivisions and emotions ran high as the community was deeply divided over the strategy. A designated statutory authority styled The Albury Wodonga Development Corporation was established pursuant to the Albury Wodonga Development Corporation Act (Commonwealth). 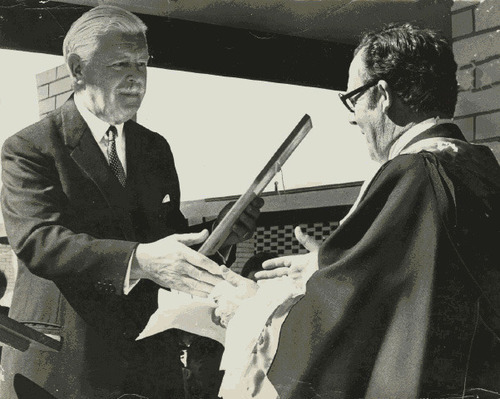 Les was appointed to the Corporation pursuant to the Act as the Mayor of Wodonga by the Governor-General in Council on 30 May 1974. Certain powers were ceded by local government to the Corporation who had a power of compulsory acquisition. 1973 Les faced an unrelenting campaign against him by a number of landowners that was deeply personal and confronting. In discharging his duties as Mayor and member of the Corporation Les had to balance property rights of the individual against the future growth of the City. It was reported in the Border Morning Mail on 28 December 1973 after his death: “He was sympathetic to those people whose land is being acquired for the growth centre, particularly those whose land had belonged to families for generations. He was anxious that the land acquisition program should be watched carefully, and that his Council should protect the interests of its ratepayers who should be adequately compensated for land acquired. But in later months Councillor Stone was saddened by the venom and greed that was developing in the community, and by a minority totally opposed to the planned development”. At times Les was deeply conflicted over what was being asked of him - public and private meetings with angry land owners were fraught with conflict. Later the urban myth would be perpetuated that the Albury Wodonga Growth Centre was a failure and the population would have grown anyway regardless. Arguments have been waged for decades over the merits of Whitlam’s decentralization policies but the facts remain his was the first Federal Government to elevate decentralization to the national scene and build a policy that encouraged Australians to leave their crowded cities. 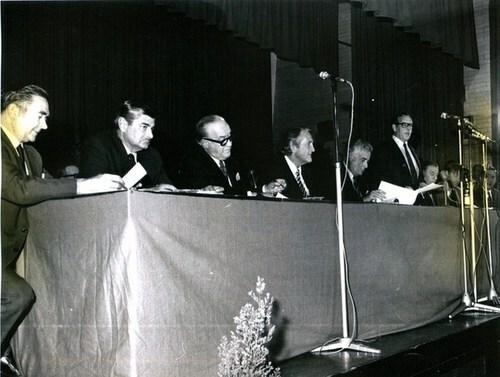 “On 23 October 1973, almost 30 years ago to the day, I was privileged as a very new member of the Legislative Assembly for Murray Valley to attend a very important function at the then Travelodge Hotel in Dean St, Albury, attended by the Prime Minister of the day, the Honourable E. G. Whitlam; the then Premier of New South Wales, Sir Robert Askin; the then Premier of Victoria, Sir Rupert Hamer; their respective ministers for decentralisation - in the Commonwealth case the Honourable Tom Uren; for New South Wales it was the Honourable Sir John Fuller; and in Victoria of course it was the redoubtable Murray Byrne - a former member of this place and a man for whom I have the highest regard and who I believe put decentralisation on the map in this state if not this nation. Country Victorians owe him a lot. That very important function that day was the signing of the Albury- Wodonga agreement. It was subsequently brought into being by legislation, and here we are today repealing some of the legislation that flowed from that particular historic meeting in Albury on 23 October 1973. I can claim to have been with the formation, growth and development of Albury-Wodonga right from the start, and I am very proud of that fact. It was a most worthy initiative and one of the best actions that the Whitlam government took, supported by the states of New South Wales and Victoria. If I can be permitted to reminisce for a moment or two, one of the reasons I am a member of this chamber and not still a member of the other place was that at the subsequent election in 1976 I was branded by my opponents - some of whom had been my traditional supporters - as too much of a friend of the Albury-Wodonga Development Corporation, and I was defeated…….. I believe my support for the Albury-Wodonga Development Corporation has been proven because of the development that has occurred, the tremendous benefits it has brought to country Victoria, particularly to north-eastern Victoria, and to the southern Riverina area of New South Wales. When one looks back at those proposals, one can see, of course, that some mistakes were made. Some of the targets at the time were clearly overambitious. For example, it was suggested that we would have 300,000 people living in Albury-Wodonga by the year 2000. Clearly that did not eventuate, but it was realized fairly early in the piece that 300,000 was an unattainable target within that time span and by 1983, for example, that target had been reduced by some 50 per cent. In fact that is where Albury-Wodonga is now in terms of a regional population - about 150,000 - and despite the fact that Wodonga is the fastest growing regional centre in the nation, it clearly could not have grown faster than that without a lot of growing pains indeed. The Whitlam vision of the time was a bit over the top, but who cares? He set the scene, he put the money in and he set in place mechanisms to get Albury-Wodonga on the go as a growth centre. That government attempted to achieve this in other parts of Australia…Albury-Wodonga…did gel, and it has proven itself to be a regional city that has become self-generating, a very attractive place to live, and it is now drawing people, particularly from Melbourne but also from Sydney, Canberra and other parts of Australia”. Privately Les had reservations about the way the Corporation at times conducted it’s affairs but stayed the course in the interest of what was best for Wodonga. Some landowners in close proximity to Albury and Wodonga who had previously been strong supporters never forgave him - this weighed heavily on Les up to his death. Both Les Stone and the man who defeated him in his pre-selection Bill Baxter paid a high personal price for supporting Whitlam’s decentralisation policy. Importantly both Les and Bill did the right thing - they led, regardless of the consequences. Les enjoyed a close working relationship with Tom Uren, a former WWII POW in Changi (as was his closest friend fellow councillor Cyril Collins). Uren was otherwise renowned as a firebrand advocate of the ‘left’ however Les took Tom in his stride and Tom in turn conceded that anyone who grew up in Collingwood must be ‘sound’- they learned to get along. Whitlam also forged a close relationship with Les because of his enthusiastic support for Labor’s decentralization policy. Gough Whitlam and Shane remained in regular contact over the years notwithstanding their differing political allegiance (see Archives Images Shane Stone). Les Stone’s legacy included the proactive encouragement of industry to Wodonga. His personal relationship with John Mars (of ‘Mars Bars’ fame) proved instrumental in winning the pet food manufacturer Uncle Bens to Wodonga. Other industries followed large and small. His fought and won the battle to have the Shire declared a City and he championed the selection of Wodonga as a Growth Centre. Education facilities were top of mind and when he engaged Government on the issue of schooling, he spoke with authority and his opinion was respected in Spring Street Melbourne. A champion and defender of local government Les served as Chairman of the North East Region of Municipalities which comprised 13 Councils including Wodonga and Wangaratta. For Les local government with all its imperfections was the level of government closest to the people. Later Pam would continue the fight on the education front and become the champion of Post-Secondary education for Albury Wodonga. Her activism resulted in a very public brawl with the NSW Education Minister the Honourable Terry Metherell MP over the recommendations of the Nadar Committee on Post-Secondary Education for the Border (Chaired by Mr. Justice Nadar). Les set a high personal example and strong leadership in a community that came to embrace him as their own. 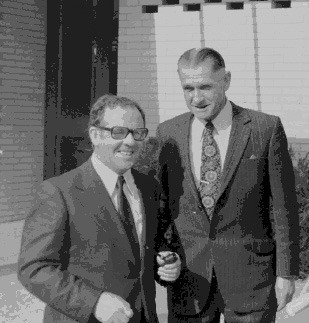 Les Stone’s service on the Albury Wodonga Development Corporation in the early period of the Whitlam decentralization initiative despite all the controversy was shaping up as amongst the most important role he would play in the Albury Wodonga community but ill health intervened. Les fell ill whilst in Melbourne with Pam at a Local Government Conference. The prognosis was terminal with perhaps 3 months to live. As he languished in the Mercy Hospital Albury he continued to see ratepayers at his bed side and to receive others who simply came to say thank you and good bye. In the last few days the Sisters of Mercy put an end to the visits. Determined to make Christmas despite all the doctors predictions he was conveyed by ambulance to 225 Lawrence Street on Christmas Day - his last home visit one last time. Les Stone passed away at the Mercy Hospital Albury on 28 December 1974 with Shane and Bob McLean at his bedside. Les Stone’s Requiem Mass was celebrated on 30 December 1974. It was one of the largest ever attended in Wodonga, a city of some 25,000 people with well over a thousand mourners in attendance at the Sacred Heart Catholic Church. Eight Councils sent official representatives as did the Australian Army, Albury Wodonga Development Corporation and numerous community groups. School children, citizens and neighbours lined the streets to and from the Church. Pallbearers included Colonel Bob McLean (Commanding Officer, Bandiana), Andrew Rutkowski (Town Clerk), Bill Curtain, Cyril Collins, Alex Harrison (a neighbour and teacher) and Shane. The Requiem Mass was con-celebrated by Father Bob Burtonclay PP assisted by several priests who had been closely associated with Les during his life. Pam instructed white vestments be worn to mark Les’s commitment to his faith. “Councillor Stone has been a real moving force in bringing into being Australia’s first national growth centre. He will undoubtedly be recorded in history as a pioneer of the city being built on the Murray, which, for the first time extended across state boundaries”. “When Les Stone died last week Wodonga lost more than a straight shooting councillor and school teacher. Wodonga lost its most valuable contact with the organization that can make or break the town – the Development Corporation. Les Stone had more than five years’ experience as member of the Wodonga Development Committee, as Shire President then Mayor and lately, as the Town’s representative on the Development Corporation. His value to Wodonga as representative on the Corporation went beyond his unquestionable loyalty to the best interests of the people of Wodonga. He was among the most coherent spokesmen Wodonga has had, and was a brake on extremist elements in the town. Wodonga could ill afford to lose him”. However Les Stone’s life of giving wasn’t just about local government and teaching. He was an old fashioned community activist who gave far more than he took from the community. During his life Les worked tireless for numerous organizations including the Royal Children’s Hospital, Royal Melbourne Hospital (he was made a Life Governor of both), the Wodonga Good Neighbour Council, and Knights of the Southern Cross, Rotary, the St. Vincent de Paul Society, Holy Name Society and St. Augustine’s Parish Council. However it is in local government that he remains best remembered. He was an active and vocal councillor and gave over 16 years of service to the people of Wodonga - his election and re-election was never once opposed. A feat repeated by Pam Stone when she was later elected to Council. Shane spoke at the end of the Mass to thank those who had attended to honour his father. It was he recalls his first major speaking engagement in the public arena. Shane believes to this day he has never made a better speech than the one he delivered at his father’s funeral. Many others spoke of their former teacher and first Mayor - a teacher, school Principal and civic leader who led by example and made a difference to all he came into contact with. As the cortège made its way past the Wodonga City Council Chambers and up the main city thoroughfare High Street Les was paid the ultimate accolade – businesses closed their doors in succession as a mark of respect as their last Shire President and first Mayor passed by. Les Stone was interned in the lawn Cemetery in Wodonga. He was aged 54 years. Les Stone’s story does not end there. By Memorandum dated August 2007 application was made to the Earl Marshal His Grace The Duke of Norfolk, College of Arms for a Grant of Arms subsequent to the conferral of the honour of the Companion of the Order of Australia on Shane Leslie Stone in the Queen’s Birthday Honours List 2 June 2006. The Memorandum specially requested that the Grant of Arms date from the late Leslie Edwin Stone JP last Shire President of Wodonga and first Mayor of the Rural City of Wodonga. The Application was made to reflect the fact that Les Stone’s premature death in office meant that he would never be formally honoured as Australia’s honours and awards are not made posthumously unless the Nomination is filed before death. The request as set out in the Memorandum to the Earl Marshal was acceded to and the Letters Patent reflect the foregoing, an acknowledgement in death 33 years on. 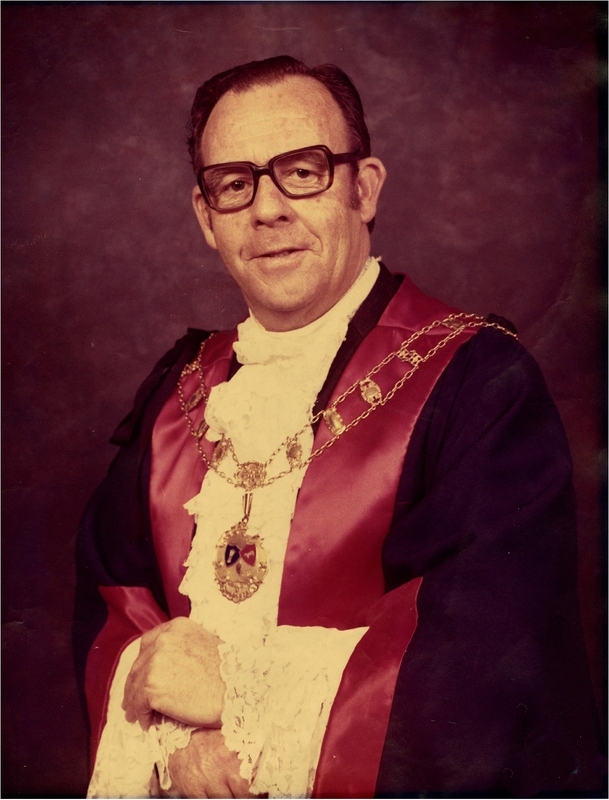 '’Leslie Edwin Stone JP was the first Mayor of Wodonga from 1972 to 1974 and a former Shire President (1972). A school teacher and principal by profession Les had a long history of involvement with the migrant community and Catholic Church. He was an acknowledged champion of decentralisation’’. For further documents and images relating to Les Stone, his life anf times search under Stone Family in Australia by name and or Collingwood and Wodonga.